Am I Eligible For Medicare? Looking for that red, white and blue Medicare card to arrive in your mail? Depending upon your individual situation it may or may not come automatically. If you’re like many people, you won’t be automatically enrolled in Medicare. Since the trend is for many Americans to work past age 65, you will need to contact Social Security to begin your Medicare Parts A and B. You would do this starting 90 days prior to your 65th birthday. If you are drawing Social Security your Medicare Parts A and B will be automatic and your card will arrive about three months before your 65th birthday. Or, if you’re disabled, it will arrive about three months before the 25th month that you’ve been receiving Social Security or RRB disability benefits. Again, many Americans fall into this category and wonder what to do when turning age 65. You have important choices to make upon your 65th birthday regarding Medicare. One question might be: Should you only begin your Medicare Part A (Hospital) or both Medicare Parts A (Hospital) and Part B (Medical). For most Medicare eligible’s there will not be a premium for Part A coverage. If you are still actively working, Part A generally coordinates well with active group insurance. So it could be wise to take out Part A and have additional health insurance coverage while you are still working and actively insured through your company. Depending on the size of your employer group plan, Medicare will either be primary or secondary. The majority of people will pay a monthly Medicare Part B premium. Because of this, you may not want to start your Part B coverage at age 65. You would only consider not enrolling in Medicare Part B if you are actively working and insured through your company group insurance plan. It is a good idea to speak with Social Security along with an agent who represents Medicare insurance products up to 90 days before your 65th birthday. Together they will be able to look at your specific situation and discuss actions that should be taken at that time. The whole process takes about thirty minutes. You can also sign up online at www.socialsecurity.gov/medicareonly. If you’re married, you and your spouse should have your own separate Medicare cards with separate Medicare claim numbers. Don’t mix them up and never use each other’s cards. If one of you lost his or her Medicare card, that person should request a Medicare card replacement. Order your Medicare card replacement online at https://secure.ssa.gov/apps6z/IMRC/main.html. Be sure to report any stolen Medicare cards right away. Have a doctor’s appointment? If you can’t wait 30 days for your new card to arrive, you can visit your local Social Security office or call 1-800-772-1213 for proof of your Medicare eligibility until you receive your new Medicare card. If you receive Railroad Retirement Board benefits, you should call your local RRB office or 1-877-772-5772. Keep your Medicare card safe and don’t let anyone else use it. Always have your card handy whenever you call Medicare with questions. And always take your card with you when you receive any health care products or services if you are only on Original Medicare or Original Medicare with a Medigap or Medicare Supplement Plan. Even if you haven’t completed your deductible on Original Medicare, you still need to use the card so your doctor can submit a claim. That claim will be applied to your Original Medicare deductible or sent onto you Medicare Supplement company for processing. 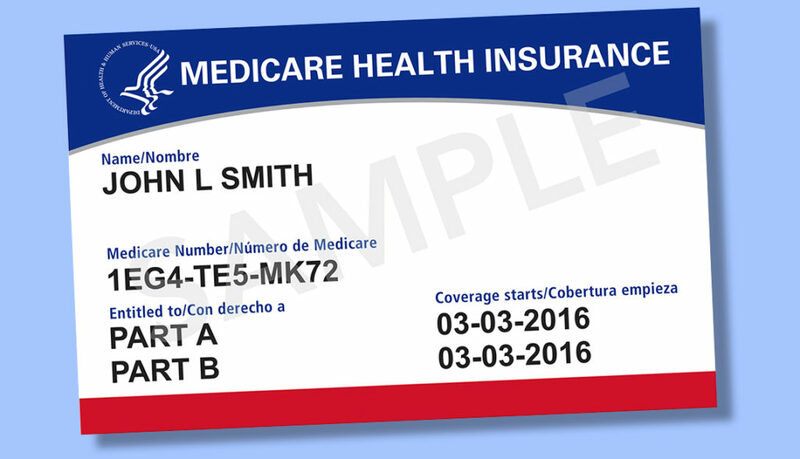 If you receive a new Medicare card, show it to your doctor’s office staff so they can make a copy of the updated card.